The only place you’ll see a bridge and tunnel like this. Not everyone can do it. Afraid of heights? Afraid of the dark? Be bold and cross this bridge, enter the tunnel. If you do, you will say, “Wow.” Everybody does. It’s more than you expect, but it won’t last –time is taking its toll. From above the west entrance of the Cartwright Tunnel, looking west to the Fairview Lift Bridge. Barely on the North Dakota side of the ND/MT border, are the Fairview Lift Bridge and Cartwright Tunnel. They are both one-of-a-kind visitor sites – huge monstrosities. They’re known as North Dakota’s only lift bridge and only railroad tunnel. Sadly, the east end of the tunnel is collapsing. It will be sealed off for safety – after 85 years of standing solid. The two transportation oddities are about an hour southwest of Williston (50 miles). They are historical tributes to the hard work of settling the region and connecting it to the world. Drive through Sundheim Park, and up a ramp to the parking area. From there, you can walk across the bridge. You’ll be safe. It’s fenced in with pedestrian decking and benches along the way to sit and watch the Yellowstone River 100 feet below before it joins the Missouri River a few miles north. Overhead are the counterweights and lift system rising 108 feet above. They would have allowed the bridge to raise for passing steamboats – but it never happened. Building the Fairview Liftbridge. Photo of the photo in the book Cartwright Area History. From: North Dakota County and Town Histories Collection, North Dakota State Library. Starting in 1913 and finished a year later, the bridge was built as a dual purpose bridge for both rail and auto. It cost $500,000 and was the most expensive section of the rail line connecting New Rockford, North Dakota with Lewistown, Montana. It’s only one lane for both trains and cars. That means, for drivers, it could be scary to cross the bridge, hoping a train was not headed toward you. A watchman was stationed at the bridge to prevent trains and automobiles from colliding. Apparently, his work was successful. We could find no instances of any collisions, though many people have written to us to tell us of the time they were riding with their dad who had to suddenly back up to avoid a collision. The Great Northern charged a toll for cars using the bridge until 1937 when the state highway department assumed responsibility. The lift was to allow steamboats to use the river, but it was used once after completed, only as a test in 1931. The government shut down riverboat traffic on the river that year so the lift was not needed. According to Tank, passenger trains crossed the bridge once each day and freight trains once every other day. Other than at those times, automobiles could cross the bridge on planks laid near the ties. There was a hand-cranked telephone in the leverman’s hut that was wired to the depot at Cartwright about 1 1/2 miles east of the tunnel and also Fairview to the west. The phone was used to alert the leverman when a train was approaching from either direction. A second phone was placed at the west end of the bridge. That phone was to be used by motorists to alert the leverman that they wished to cross the bridge. “I remember one time, it was a Sunday, and dad and I was going hunting. I was maybe six or seven years old,” recalled Tank. “The gate was locked and nobody was working so dad got some wrenches out and removed the bolts on the gate and we went across anyway.” Tank said working and waiting for a train or motorcar was lonely and boring work. “I remember one old guy who did that. He spent the daytime sharpening saws and made good money. It worked out pretty good for him,” said Tank. An automobile bridge was built a few yards downstream so the dual-purpose of the bridge was no longer needed for cars after 1955. During the great railroad withdrawal from North Dakota in the mid-1980s the rail line was shut down. Later it was listed on the National Historic Registry and opened to the public as a visitor attraction. North Dakota’s only railroad tunnel is about 300 feet east of the bridge. Carved by hand in the rock of the Badlands, area farmers, ranchers, and workers blasted and chipped their way through the hill, carting the rock out of the tunnel by mule cart. A special train hauled much of the dirt and rock to Watford City for their “buried trestle” project west of town. Crews lined the tunnel with large wooden planks to hold back natural decay of the landscape. A slight bend in the tunnel prevents people from seeing the opposite end when they enter. Stop for a moment in the middle, absorb the immense size of the cavern; it’s tall enough for large trains and a quarter-mile long. It gets completely dark in the center. This is when your cell phone becomes a flashlight. The flapping birds you’ll hear as you approach the east end are pigeons. Vandals and natural forces have finally overcome the east end of the tunnel. It is collapsing. In years past, the North Dakota National Guard repaired the tunnel as needed. That probably will not happen now. The east end of the Cartwright Tunnel is collapsing. The right side has been kicked out. The left side has snapped. This repair is greater than what was done in the past and could cost more than a half-million dollars. If money is not available and repairs are not made, the ends will be sealed, or the tunnel will be imploded. Fairview has its own cheer squad for the bridge. The Friends of the Bridge and Roy Trumpower conduct tours to explain the significance of hidden trestles on the west end, the workings of the lift section, and the structure of the tunnel. You can reach Friends of the Fairview Bridge at P.O. Box 374, Fairview, MT 59221, fairviewmtchamber@gmail.com, 406-489-2624. An equally impressive bridge, the Snowden or Nohly Liftbridge is about 15 miles away, crossing the Missouri River near the ghost town of Mondak. It’s called the Snowden bridge because there once was a little burg called Snowden at the end of the bridge. It’s gone. The Snowden Bridge is not accessible to tourists, but you can drive underneath. Trains still use the bridge. Yesterday, we shared a “then and now” photo of the Snowden bridge. See it here. 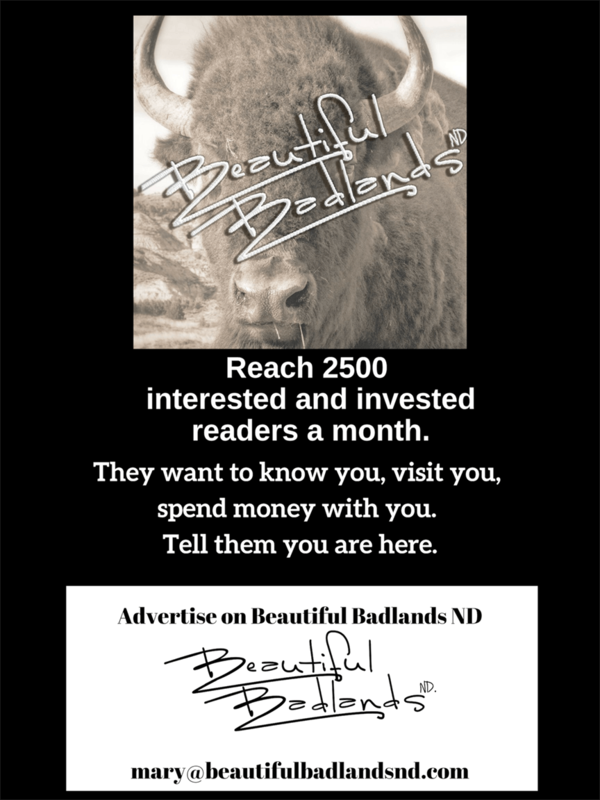 Don’t forget to subscribe (that box in the upper right) to Beautiful Badlands ND to get a note in your email inbox when a new story is posted, AND receive the twice a month Beautiful Badlands ND newsletter.